Hotel Centrum Green Hill Wisła is currently not reservable. Rooms, services Hotel Centrum Green Hill Wisła is offering 23 tastefully furnished rooms to those seeking accommodation in Wisła. Services designed especially for small children ensure that the complete family will have a nice time at this hotel. The hotel also welcomes your pet for the stay at an additional cost. In case you'd like to have a meal or a drink on the spot, you will be provided freshly prepared dishes in the restaurant every day. If you are arriving by car, the hotel will provide you a parking space without charging you any extra fees. Refreshing wellness services will be available to you on the spot, for the details please read the information sheet. If you have a suitable portable device, you can connect to the Internet via a wireless network (WiFi) available at the hotel. 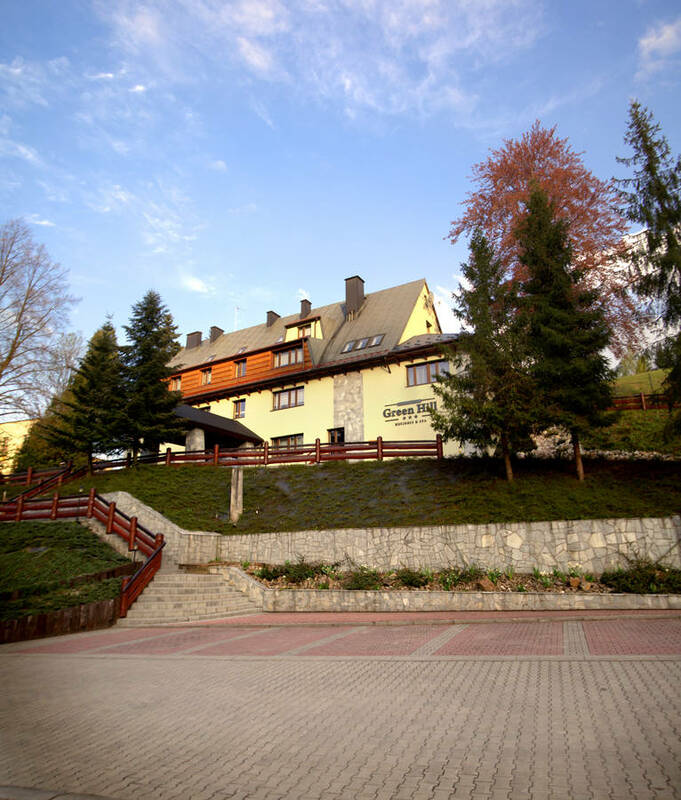 The exact equipment of a room and the exact list of available services of Hotel Centrum Green Hill Wisła can be read on the information sheet below and on the information sheet of the selected room. Catering The display prices include rich, tasty breakfast for every day of your stay. When booking a room, a different type of catering may also be requested, the hotel is offering the following opportunities: no boarding, breakfast, half board. Payment The following methods are available to pay the reservation: cash, bank transfer, credit card. 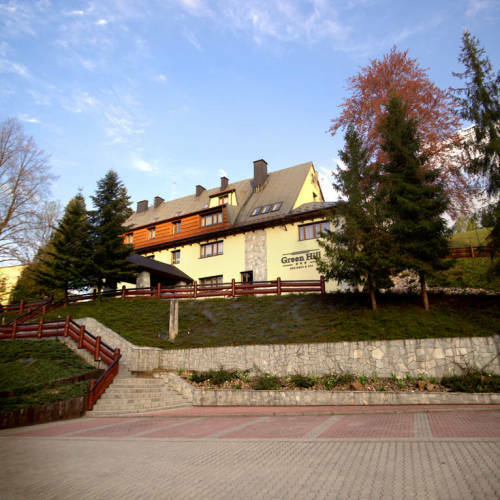 Hotel Centrum Green Hill Wisła asks for 40% to be paid in advance. Arrival, opening hours The earliest arrival time is 14:00, the latest time to leave the rooms is 12:00. The personnel speaks English, Polish and German.